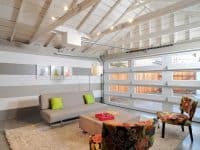 In order to ensure for the structural integrity of your home, you must have a proper drainage system. A drainage system needs to be installed because of it essential that water does not pool near the home’s foundation. This can threaten the foundation of the home and jeopardize the structural integrity of the dwelling. Without a proper drainage system, water can seep into the house and flood basements. 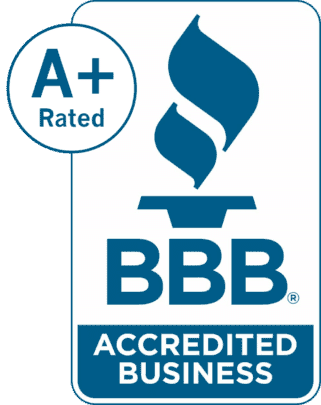 This can cause mold in the walls of the home or large cracks, which will lead to costly and consuming repairs, as well as other expensive and invasive damage. Ensure that your home is waterproofed to protect it from invasive weather. However, be sure to get permission from your city before you consider redirecting your drain pipes to the city sewer. 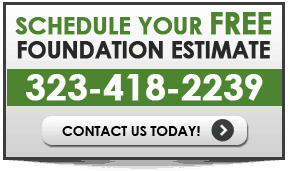 This is where professional contractors can really assist with your yard drainage project. Fortunately, there are a number of drainage solutions for homes experiencing issues with the direction of their excess water flow. Be aware that seeking a professional opinion is the best way to determine what solution will best fit your situation. French drains are a common solution to drainage issues since they are easily covered and thus considered non-disruptive to the landscape. In simple terms, a french drain consists of a trench that is filled with gravel. Perforated pipes with holes in them run along the trench and are placed in the middle of the gravel, making them seldom noticeable since the drain is usually covered by soil or shrubbery. 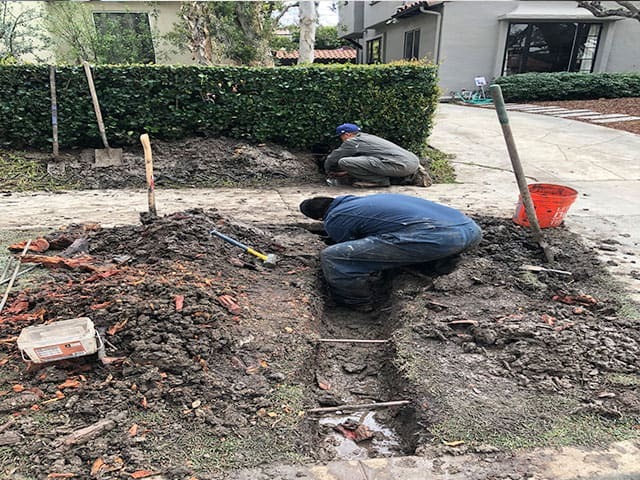 In order to ensure that your french drains do not have to be dug up and reconstructed in the future, make sure that they are properly constructed the first time. To drain effectively, the water in the soil passes through the overlaying gravel and drains into the pipe before being rerouted. Related: What Is A French Drain ? Water might be pooling near your home’s foundation if your rain downspouts are too close to your house’s perimeter. Consistent pooling of water near the foundation could cause serious foundation damage over time. 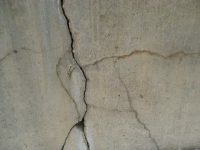 One of the largest issues water in the foundation can cause is concrete cracking, which could lead to foundation repairs or in serious cases replacement. To have your downspouts structured for maximum home protection, ensure that they dump water at a minimum of three feet away from the house’s foundation. A simple solution for drainage issues is to grade your yard’s soil so that it slopes downhill and away from the foundation. The slope should be a minimum of six inches to over ten feet steep. It is crucial to angle the slope the right way to ensure that the water will flow away at a proper pace and in the right direction. Catch basins, dry wells, and sump pumps are all options for yard drainage installation. Catch basins are a good alternative to French Drains for houses with high clay content soils. Catch basins are able to collect water and redirect it through piping to storm sewers. For houses that are not near storm sewers, dry wells can be used to collect rainwater. Dry wells allow runoff water to be store so that it gradually enters the subsoil. Ensure that they are dug at a proper level to make sure that the water is both caught and capable of seeping into the subsoil. Lastly, sump pumps are saviors for extreme yard flooding. 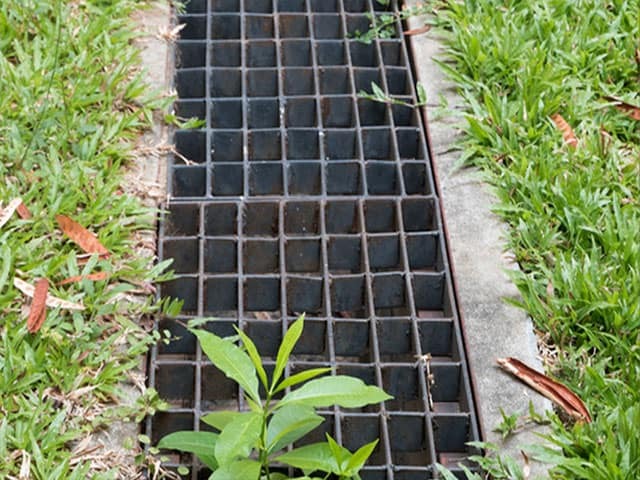 They are often installed if a home is not equipped with a natural slope for drainage. Have any questions about Drainage system for your backyard?